Sports and Artificial Intelligence? Are we talking about Moneyball? Sports is an addiction in a lot of cultures. Be it baseball, football, soccer, cricket. The fervour, almost religious in nature, evokes passions that go beyond the regular. I have always wondered the reason for this in our day to day life. Howard Katz, M.D., a psychiatry instructor at Harvard Medical School, tried to put the best explanation forward. Club this with the ubiquitous mobile phone, used at most sporting events to do night waves, take selfies, pictures for instagram and facebook and you have a combination to transcend your passion into bragging rights instantly across the world. Is there a medium that connects the passion to the convenience? Yes, chatbots are an answer. In fact, follow your team, check schedules, track tailgate parties, find statistics, see highlights, all with a query like interface that is natural to the way we think and have a conversation. 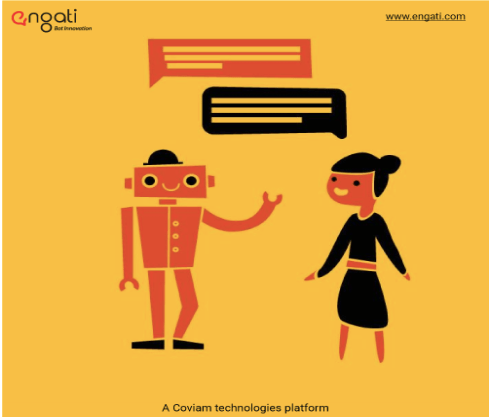 Quiz your friends on how well they know their teams, buy sports apparel and paraphernalia, connect with other sports fans, run football pools, play fantasy sport – you can port it all to a messenger like conversational interface through a chatbot. Broadcast alerts for events, games, locations, send pictures and video of highlights, broadcast significant performances and new records set and much more. Here are some things that chatbots can help you with, if you are building a sports franchise or want to create a following in sports. Sports brands can provide details and fixture list of ongoing and upcoming matches through chatbots because it helps a user to have the required information. You can answer general queries like match details or the sports news or any information about the players or teams through chatbots. Chatbot queries can support a check on player and team statistics. In fact, questions like who hit the winning homerun in the 1963 world series to who has the best average. Or the details of the world record holder for the long jump. A user may be able to check for the tickets of a specific match. And even purchase it through chatbot. So, it can make their life easier and brands get more exposure. Visual content can be shared through chatbots. Like, specific match highlights or player videos, with the content crafted on images. Or showing better conversation options for brands. For more information, feel free to schedule a demo for free today.